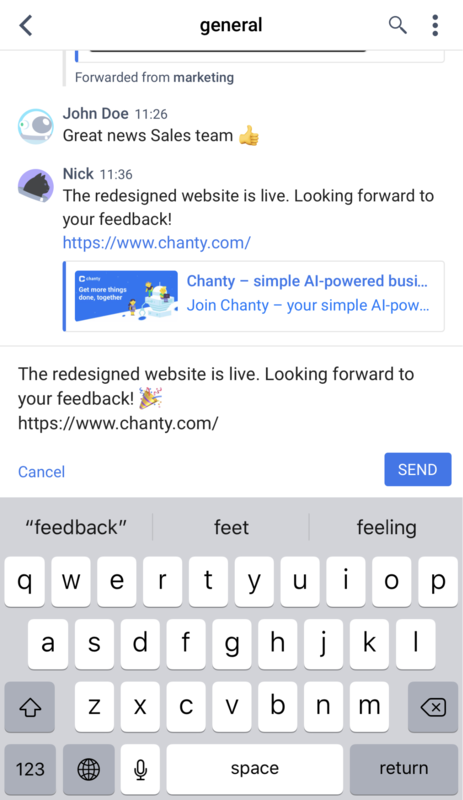 You can edit messages with links on Chanty. The message you save will be labelled as (edited) below the message you’ve changed. 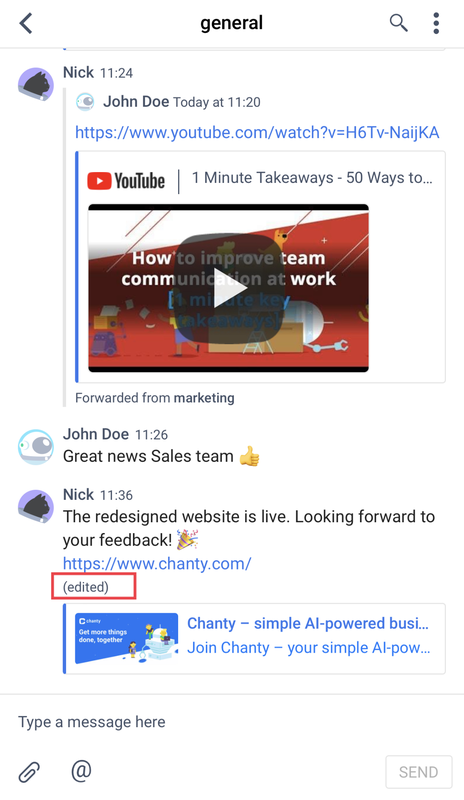 Tip: Mouse over the (edited) label below the message to view the time the message has been last edited. Note: Mind that saving the empty message, while editing will delete the message.